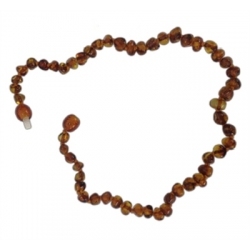 What is a Baltic Amber Healing Jewelry? 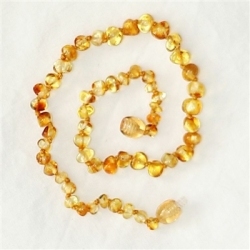 Wearing baltic amber can help with pain along with other ailments. 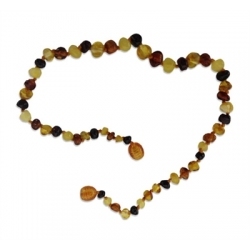 The warmth from the skin releases the active ingredient in the Baltic amber, succinic acid. Recent scientific research has proved that succinic acid has a very positive influence on the human body. It improves immunity and the balance of acids when absorbed into the bloodstream, it stimulates the thyroid glands. Ambers anti-inflammatory and therapeutic properties are recognized by allopathic medicine as a natural analgesic, which will help to relieve pain without resorting to drugs. 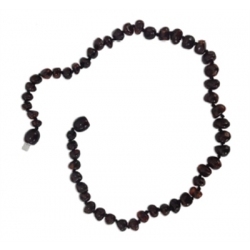 The skins warmth releases healing oils from the amber, a resin, which is absorbed into the bloodstream. Safety Disclaimer ~ please don't leave a child unattended with their necklace, it may present a choking hazard.